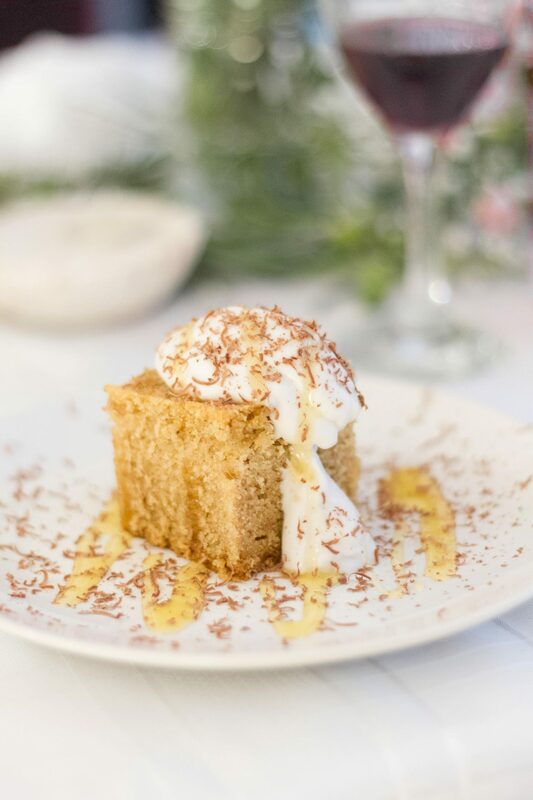 When I had the offer to host a dinner party including a professional vegan chef – I definitely could not say no! Thanks again to my dear Lucy for recommending me – and to La Belle Assiette for offering! 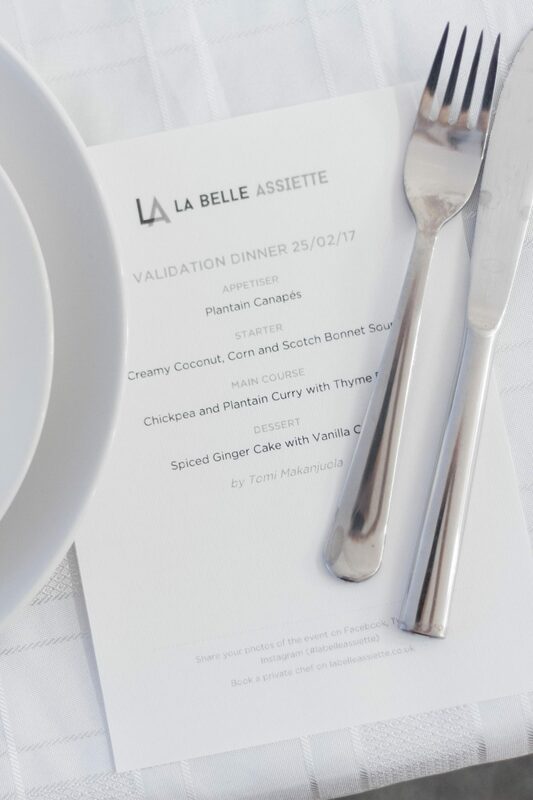 What is La Belle Assiette? Well, let me give you a quick overview: On their website you can book a professional chef for your dinner (or lunch) party. The chef then comes to your house, brings the ingredients, cooks the food in your kitchen and cleans up afterwards. A brilliant concept! I think this was my first ever dinner party that I could actually really enjoy myself – without having to stress and rush around the kitchen, so I can definitely recommend their service! Our chef for the day was the lovely Tomi Makanjuola, who did an amazing job and cooked an outstanding 4 course meal for us! Tomi is a professional and passionate about vegan cuisine – and she also has a food blog: The Vegan Nigerian. Since 2013 she has used her blog to show the vibrant and colourful flavours of traditional and contemporary Nigerian food with a vegan twist. For La Belle Assiette she has a couple of menus on offer – and also including a raw vegan menu! 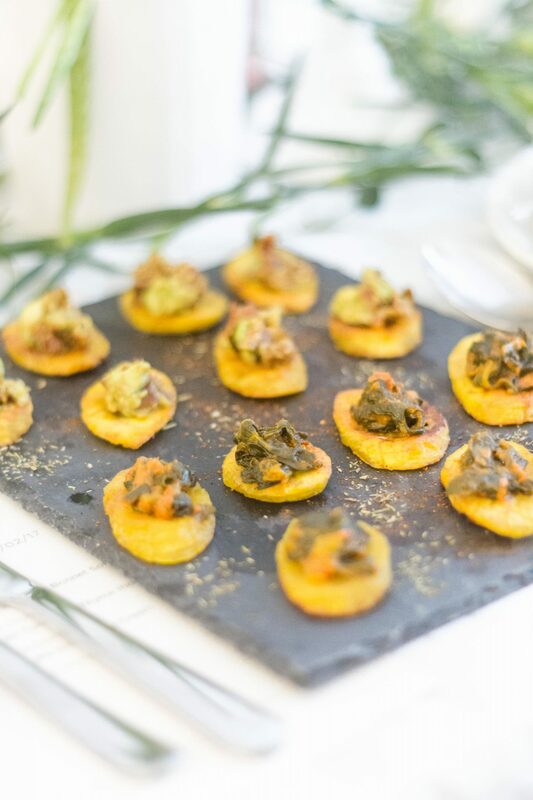 For our first course Tomi prepared plantain canapes with 3 different toppings: caramelised onion, sun-dried tomato/avocado and a tomato/spinach mix (which I am sure had a specific name, but yeah – me and names…) and all three of them tasted absolutely fantastic! I am not too firm in cooking with plantain myself, simply cause I lack the experience and ideas of what to prepare with it, so Tomi’s appetiser was perfect to try plantain in a new version. Followed by my favourite of the day: Creamy Coconut, Corn and Scotch Bonnet Soup! I am currently in a phase where I absolutely love soups, so I was definitely excited for this one – and after the first spoon full I was absolutely sold! The soup was super creamy and the coconut flakes on the top gave it a nice crunch. 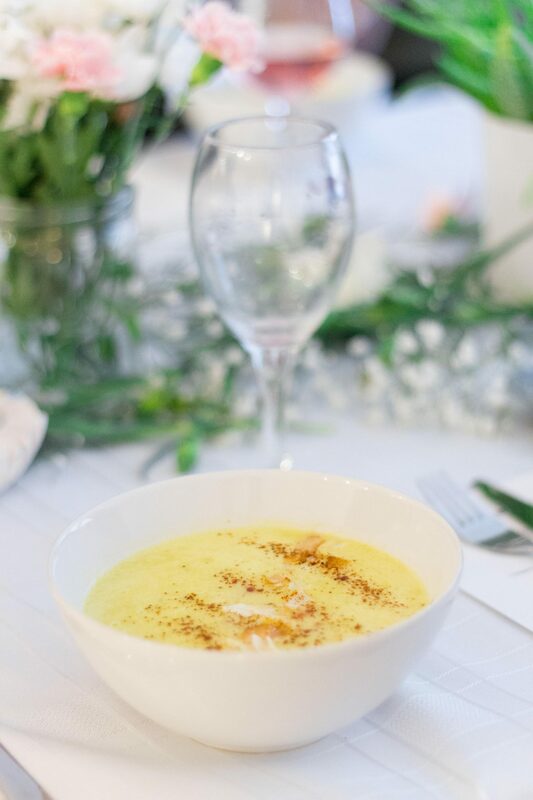 I have never tried Scotch Bonnet before, but man – it was the perfect combo with this creamy soup! If you ever book Tomi, ask her to prepare this one for you! 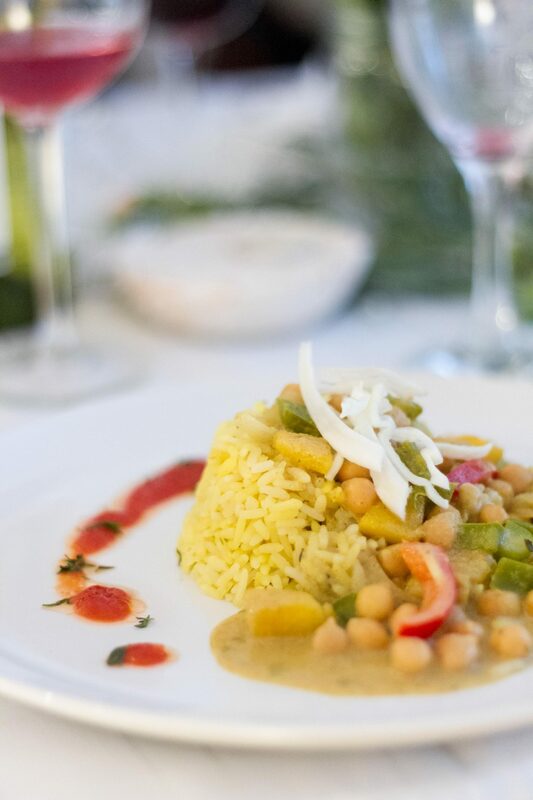 Our main course was a chickpea and plantain curry – again I was very happy to be able to try plantain in a way I have never used it myself before (& probably take some inspiration from it!) The creamy curry was served with thyme rice, which was the bomb! I have to admit that I am not a pro with cooking rice – I simply lack the inspiration of what to do with it, probably as I grew up in Germany and rice is not really part of the local cuisine there. I will definitely try and incorporate thyme next time I cook some rice myself, but I doubt it will taste as amazing as Tomi’s rice did! 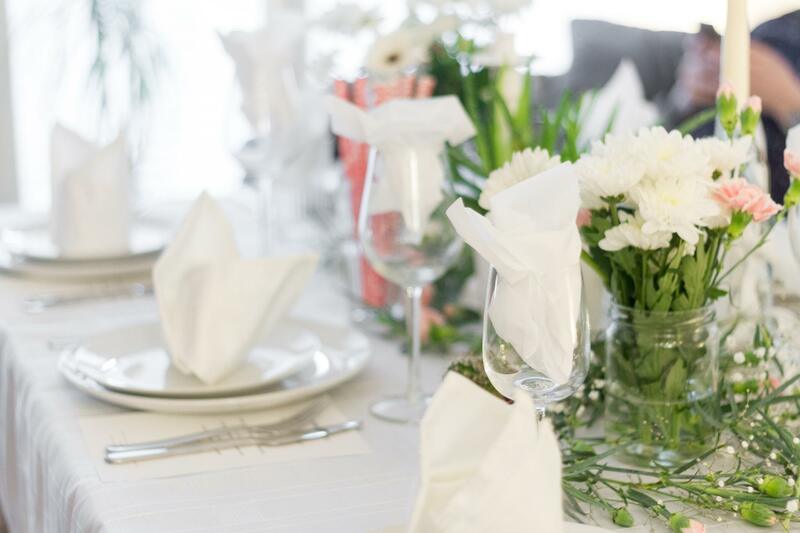 I have to say I really loved the entire experience – being able to enjoy my own dinner party without worrying about cooking and tidying up, but still in my ‘natural habitat’ – it was simply perfect! And with Tomi we definitely had a lucky draw: She was absolutely lovely and professional and her food was outstanding! 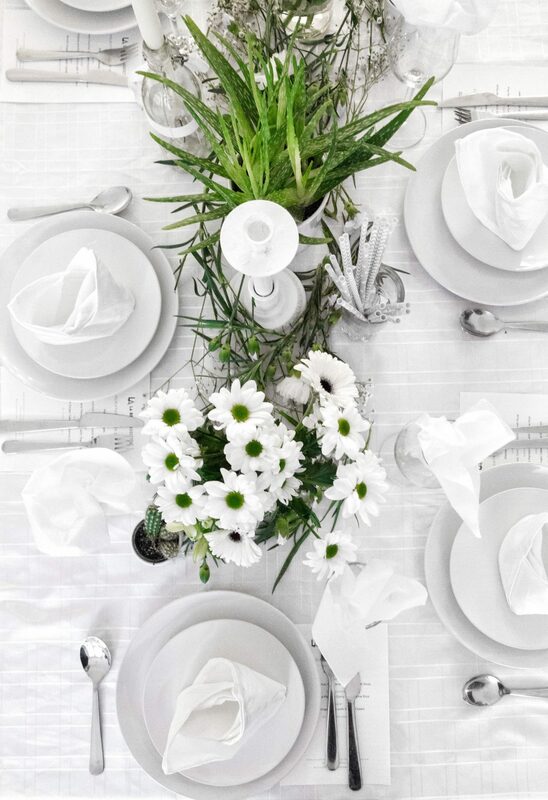 To find out more about La Belle Assiette click here.